Are you a ski lover and would like to find a place to practise your favourite sport in Ticino? 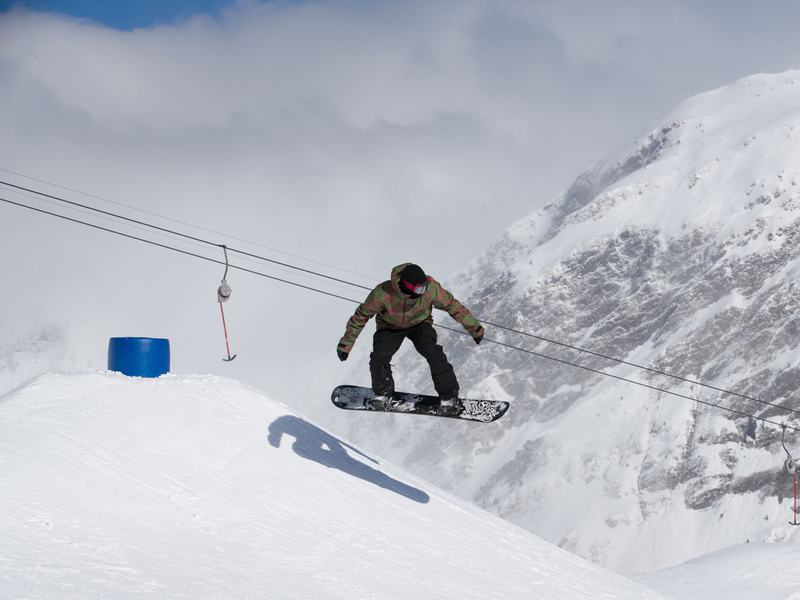 Airolo has everything you need to spend an adrenaline-filled holiday! Did you know that Airolo has the best snow throughout the Southern Alps? The natural exposure of the slopes and the strategic southerly position, yet in proximity to the Alps, is such that snow conditions are pretty much always optimal! What are you waiting for? Take the cable car and in 7 minutes you'll be hitting the slopes! 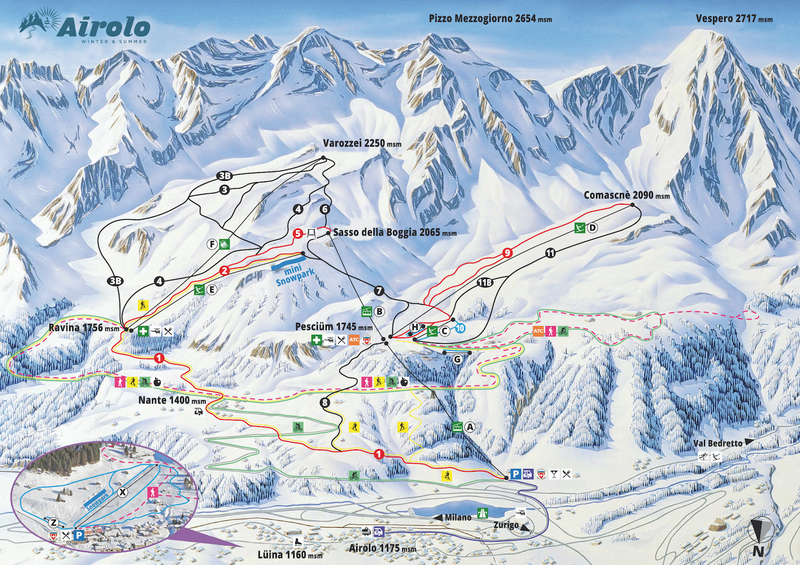 The Airolo ski lifts consist of two cable cars, three ski lifts, a chair lift and a pony lift. The first cableway takes you to 1745 m; from here the other facilities will take you to higher slopes which go up as far as 2250 m (Varozzei). For those who come to Airolo-Pesciüm to ski, there are 30 km of slopes to choose from; of these, 14 km are tricky descents, 15 km consist of intermediate slopes and there is also a 1 km easy slope dedicated to children and adults who are taking their first steps. What do snowboarders look for in a resort? Stunning snow, a place that offers a plethora of possibilities and ... thrills and spills. What will you come across in Airolo? Starting with beginners: soft snow to avoid getting hurt. The north face has optimal snow for carving through while learning. The area around the little ski lift is also perfect for learning! Do you want to stay on the slopes? The terrain varies quite a lot and satisfies everyone's tastes; it's perfect for twisting and turning, jumping and doing freestyle tricks. When it comes to Freeride adventurers, Airolo is the mecca. Are you looking for free-flowing descents and dreamlike forest surroundings, as well as cliffs of all sizes, or even a spot to build your own big air jump? Just look around you and let your imagination run free. Airolo has no limits! Discover all our services related to the slopes; from the ski schools to the famous Avalanche Training Center. The Airolo - S. Gottardo Swiss Ski and Snowboarding School provides high quality rental equipment. Prices vary depending on the duration of the rental. The Airolo - S. Gottardo Swiss Ski and Snowboarding School is integral to the town of Airolo. Our team of 80 teachers undergoes constant training so that learners can benefit from the most up-to-date teaching methods. The Avalanche Training Center is open to everybody for free. Here, thanks to the 8 transmitters present, you can simulate different critical situations, including the search for victims of an avalanche.